America can lead the rest of the world by showing how supporting companies can result in a cost-effective transportation system to the Moon. The Plan proposes that America establishes a full, end-to-end transportation system between the Earth and Moon using the Lunar COTS approach. However, America certainly isn't the only country that would like to go. We have several partners in the International Space Station and there are other up-and-coming space agencies worldwide. The Plan indicates that the US should, as a matter of policy, encourage other nations to fund their own companies to develope redundant but dissimilar elements of the transportation and habitation system. For example, the Europeans could build its own lander. Japan and Canada would love to develop their own telerobots. Other countries could use their space station experience to develop habitation systems. America should welcome commercial competition. Not only would it keep our companies honest but our experience when the Space Shuttle system was down, just how vital it was to have the option of using the parallel elements of other countries. 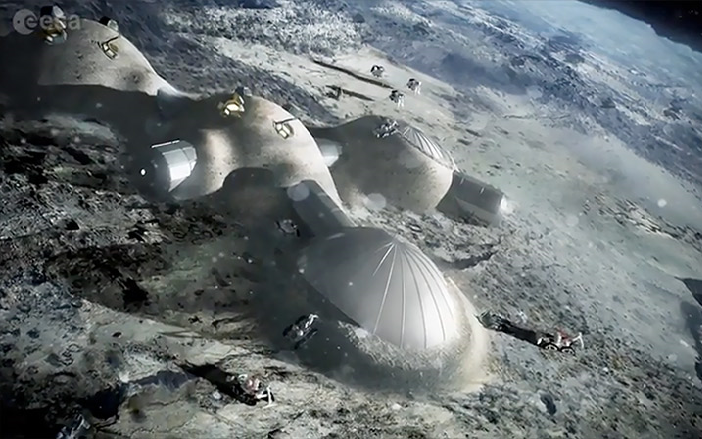 The Director of the European Space Agency (ESA) has been promoting the concept of a "Lunar Village". This Plan would be entirely compatible with this concept. Indeed, the end result of lunar development would be the establishment of humanity's first, permanent, off-Earth foothold. And America, with its values would lead the world in this movement.